FREE TRIAL - Only 37.97 after 14 days - Cancel ANYTIME! 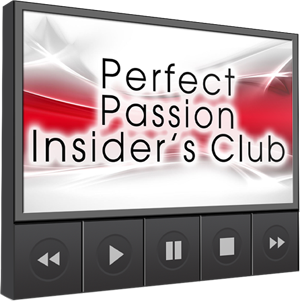 Note that the bonus free trial to the Perfect Passion Insiders Club is completely optional - HOWEVER most of our members will opt for this opportunity as you'll be learning more advanced skills for building your intimate connection and without the Perfect Passion Insiders Club you'd be missing out. (You don't need to do anything, just hit the add to cart button below to get instant access to Irresistible Desire and the bonus free trial of the Perfect Passion Insiders Club.) If you decide to stay on after your free trial, it's only $37.97 per month for just 8 months - and you can cancel ANYTIME! And each week you'll receive brand new love & commitment secrets including: Insider Tips & Advanced Desire Secrets Videos, and more interviews with dating gurus. You will be charged $37.97 today, with NO additional payments. There will be no other monthly charges on your credit card. 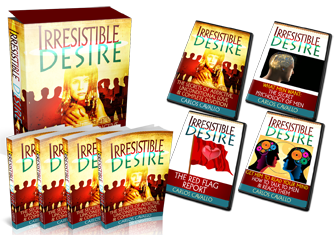 Click the link below, fill in your information, and you'll get instant access to the entire Irresistible Desire program (with all the bonuses! ).